On the occasion of the 72nd Independence Day, Indian Army collaborates with Select CITYWALK to organize a weapon and equipment display at the premises of the mall. 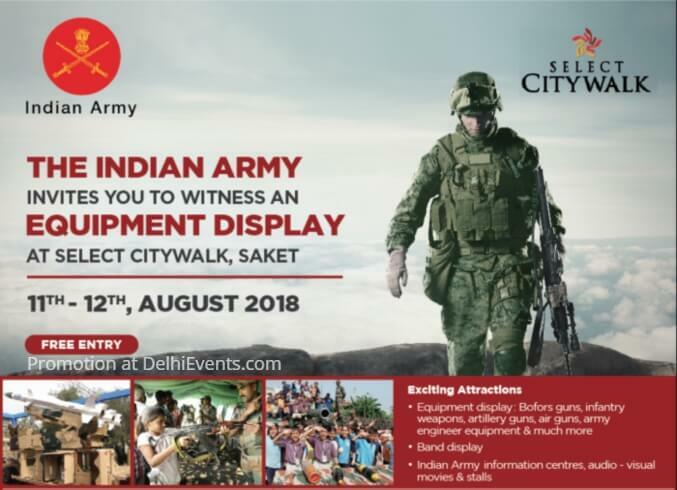 Aimed at instilling patriotic fervor and pride amongst the visitors,Indian Army will provide Select CITYWALK patrons with a unique opportunity to witness the infantry weapons, artillery guns, Air Defence guns, Army Engineer equipments along with an Army band display at the shopping center. The event is also intended towards encouraging the youth to join the Army.